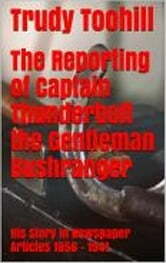 The Reporting of Captain Thunderbolt the Gentleman Bushranger, is a compilation of newspaper articles published from 1856 to 1941, which tell the story of the life and death of Frederick Wordsworth Ward, ‘Captain Thunderbolt’, and his companions in intricate detail as it was read by the nation over a century ago. These newspaper stories contain numerous transcripts and interviews from hostages, and police officers involved in the search, and capture of Captain Thunderbolt, and his companions. These personal accounts offer a greater understanding into what these victims endured, and how difficult it was for the authorities to capture these bushrangers with inferior equipment and horses. Book two of the ‘Australian Bushrangers in Print’ series which covers all of the well-known Australian Bushrangers and the not so well-known ones. 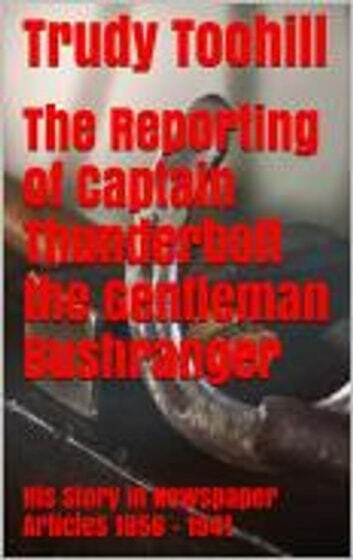 The Reporting of Captain Thunderbolt the Gentleman Bushranger, is a fascinating read that provides a remarkable insight into the feelings of a nation caught up in the middle of bushranging terror.